Hadjin had three Armenian Apostolic churches – Sourp Asdvadzadzin, Sourp Kevork and Sourp Toros. The first two were located in the Upper District (Veri Tagh), and the last in the Lower District (Vari Tagh). Living expenses for the priests derived from donations made by the people and by specific fees when the clergy would conduct special services such as baptisms, weddings and funerals, house blessings on Christmas and Easter, visits to the sick, as well as voluntary donations for ordering special prayers. 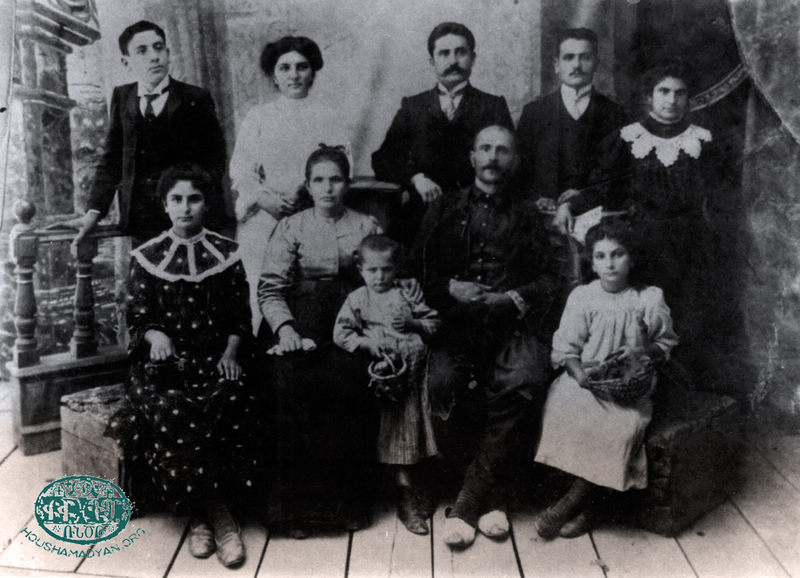 1) The Kerkyasharian family from Hadjin, 1910. Standing (from left): Garabed Kerkyasharian, Verjine Kerkyasharian, Aharon Kerkyasharian, Kevork Kerkyasharian, Sara Kerkyasharian. 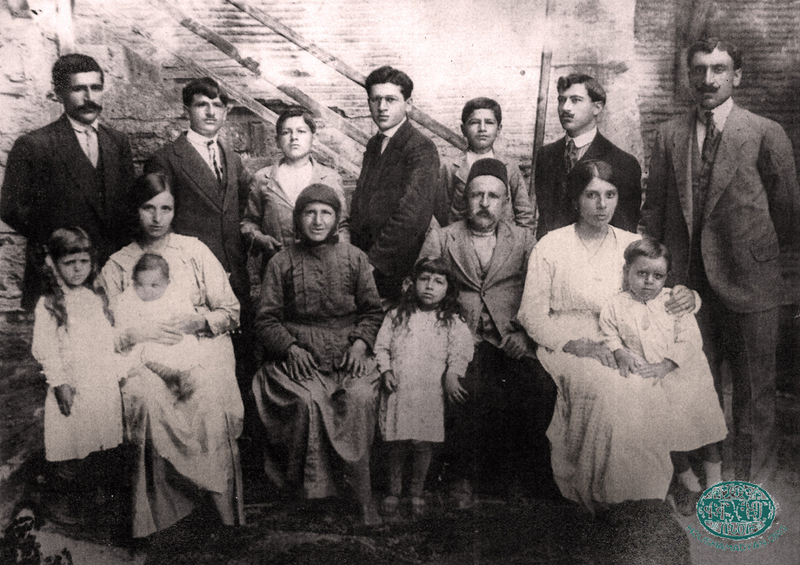 Seated (from left): Eugénie Kerkyasharian (later Mamigonian), Mariam Kerkyasharian, Manuel Kerkyasharian (standing to the right of her mother), Stepan Keryasharian, Victoria Kerkyasharian. Photograph taken in Adana (Source: Stepan Keryasharian collection. Courtesy of Antranik Dakessian). 2) The Tarpinian/Chilingirian family from Hadjin. Photograph taken in Adana, 29 June 1919 (Source: Vazken Tarpinian collection. Courtesy of Antranik Dakessian). A very interesting custom in Hadjin was for the church beadle (jamgoch), carrying a thick staff in one hand and a lighted candle in the other, to walk through the town before sunrise, solemnly calling residents to the church for prayer. Stopping at each house, he would gently sing out and knock on the door thrice with his staff. We have yet to come across this custom anywhere else. It was surely a local tradition, both fascinating and touching. As a unique sample of Hadjin folklore, we present the “Song of the Beadle” to our readers in its entirety. Repent/ See the light before being destroyed. Hadjin native Sograd Topalian writes that there was an eight hundred year old handwritten Avedaran (New Testament) in St. Asdvadzadzin. Topalian says he had seen and read a diary noting that the manuscript was seized by the Armenian Divan Oghlu or Livan Oghlu. 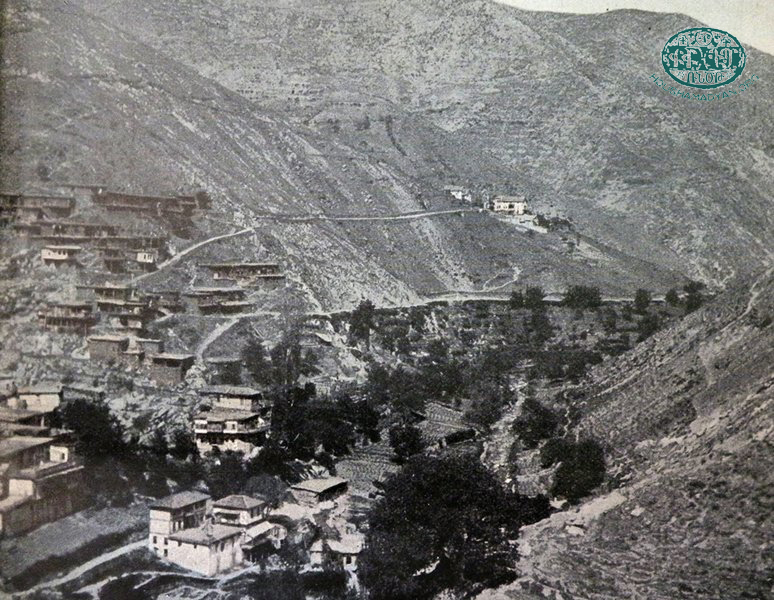 A prominent Hadjin resident, Erezian Hadji Manoug, is said to have purchased it for two purses (each containing 500 ghurush/kuruş) from Divan Oghlu. The same manuscript was seized a second time by a large confederation of influential tribes dominated by the Kozanoğlu family. Once again a prominent Hadjin Armenian, Hadji Krikor, rescued the manuscript by paying a ransom of five hundred ghurush. 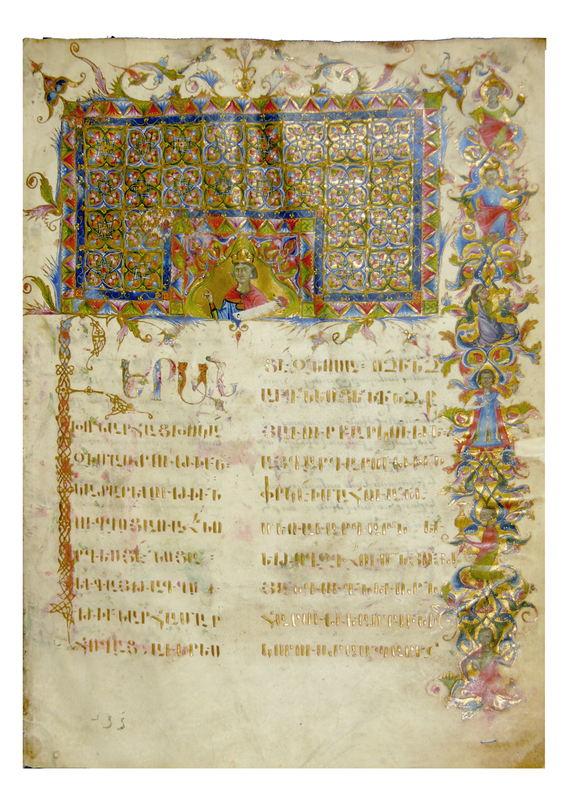 Dr. Kevork Kerkyasharian from Hadjin relates that a magnificent parchment New Testament was kept at St. Asdvadzadzin, noting that “With its binding and inlaid gold embellishments it bore the stamp of the era of the Cilician dynasty.”  It is believed that this and numerous other Hadjin church treasures were seized by Ottoman authorities during the eviction and massacres of the First World War. Hadjin’s St. Kevork Church was built much later, even though sources attest to the fact that a small chapel existed on the site in ancient times. 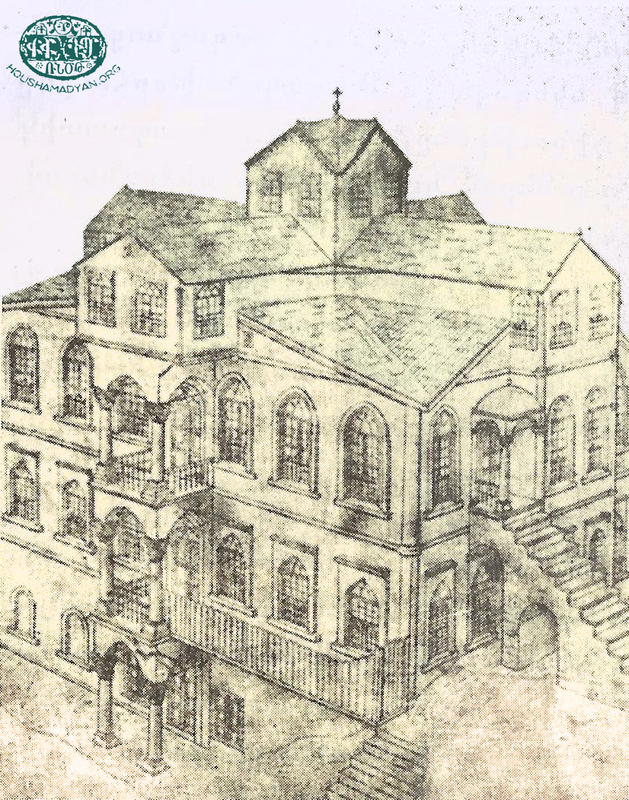 The new church began to be built in 1844, when Mardiros Agha Mangerian served as “deputy”. 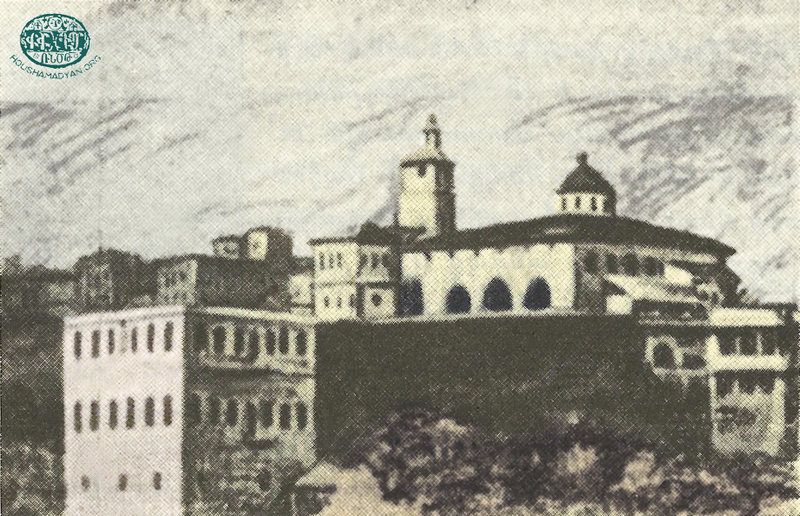 With the death of Mangerian, the church remained unfinished and was finally completed in 1855 through the efforts of Sarkis Agha Toursarkisian, the new “deputy”. Toursarkisian also had a diocesan office and a seminary built nearby. According to Dr. Kerkyasharian’s description, this priceless New Testament was adorned with a magnificent silver leaf binding, silver clasps, and penned by a master calligrapher, giving the impression of a printed book. It is also said that each of the four Gospels ended with a memo written by King Hethoum II regarding the gifting of the New Testament to the Trazarg Monastery. While the description is quite insufficient, it is enough to assume that this royal manuscript was a masterpiece of Cilician calligraphy and miniature art. This church was located in Hadjin’s Yaghe district. While the church structure itself was built in more recent times , the history of St. Toros (just like St. Asdvadzadzin and St. Kevork) dates back to Armenian Cilician Kingdom. According to the chroniclers of Hadjin’s history, there was an ancient chapel in the garden opposite the church we know as St. Toros. Tradition says it was built by Prince Toros I of Cilicia (?-1129) and gifted to refugees. This is why the church was consecrated with the name St. Toros. We should add that the Armenian geographer of the 19th Century, Ghougas Indjidjian, doesn’t mention St. Toros when listing the Armenian Apostolic churches of Hadjin along with St. Asdvadzadzin and St. Kevork . Thus, we must infer that St. Toros was a chapel for a long time. St. Toros also had a school. The next piece of information about the monastery refers to 1554, when it was renovated for the first time. Thus, it was built in 1004 and renovated in 1554, which is confirmed in the works of Ghougas Indjidjian. Thus, St. Hagop Monastery serves as the oldest proof of an Armenian presence in Hadjin . 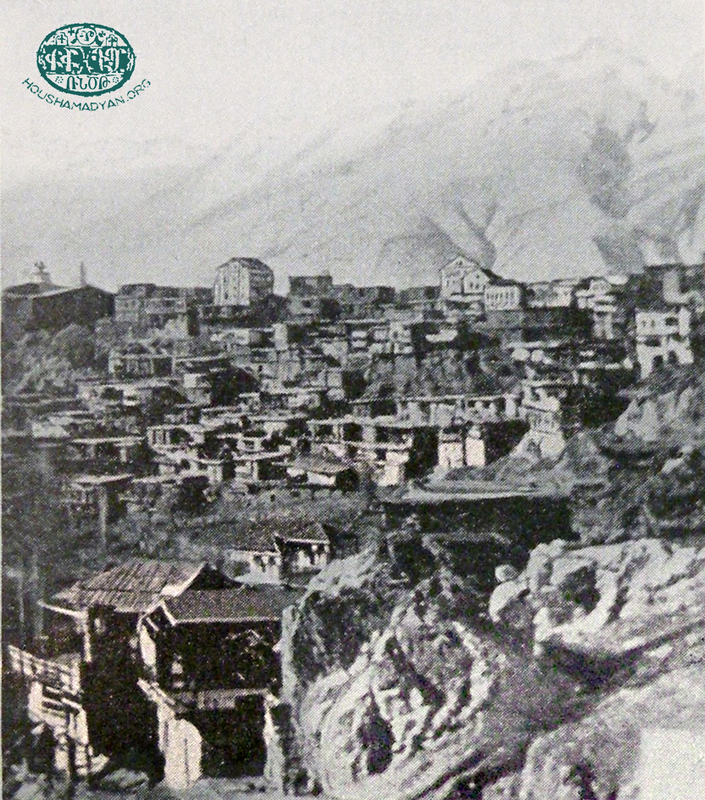 At the same time, if we accept the fact that the monastery existed before the founding of Hadjin itself, then we can conclude that the history of the monastery is closely connected to history of the town’s formation and growth, and that the monastery served as one of the prime pillars on which the local Armenian community was formed. 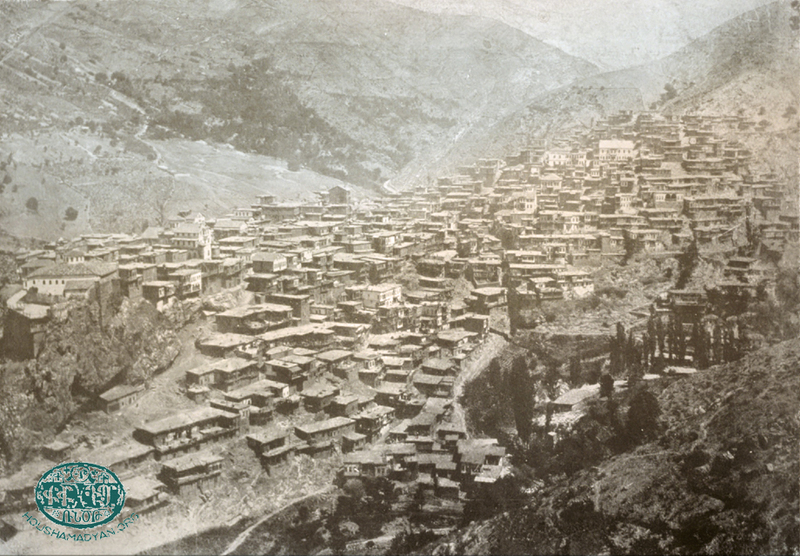 During its centuries old history, St. Hagop graduated many clergymen, including catholicoi, archbishops and archimandrites. Hand-written manuscripts produced by the monastery’s archimandrites have also reached us. 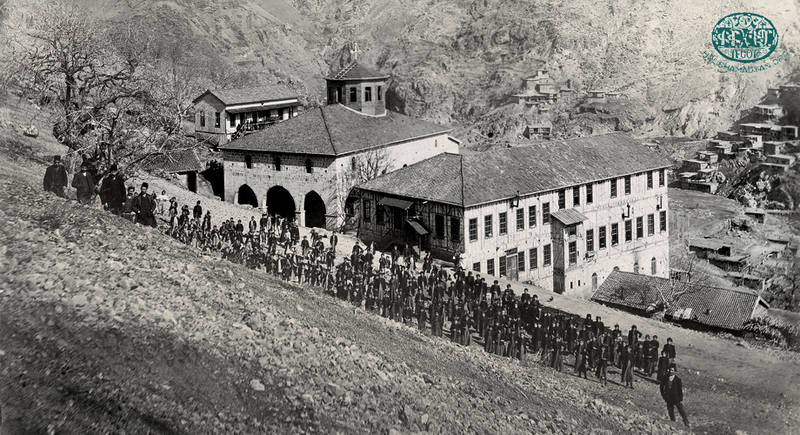 The Armenians of Hadjin are indebted to St. Hagop Monastery for educating and preparing the teachers and clergy who ran their churches and schools. The monastery was subject to much abuse at the hands of the Kozanoğlu tribe that reigned over Hadjin and to whom residents paid tax. It is recounted that during the 1850s and 1860s the monastery was pillaged by Hadji Bey and Yusuf Bey in succession. H.B. Boghosian, General history of Hadjin and the neighboring Kozan-Dagh Armenian villages [in Armenian], Los Angeles, 1942, p. 348. We come across notes regarding the town of Hadjin starting from the 13th century. Thus its history isn’t very old. Based on historical evidence and information, researchers have concluded that Hadjin was established after the fall of the Cilician Armenian dynasty by Armenian refugees. 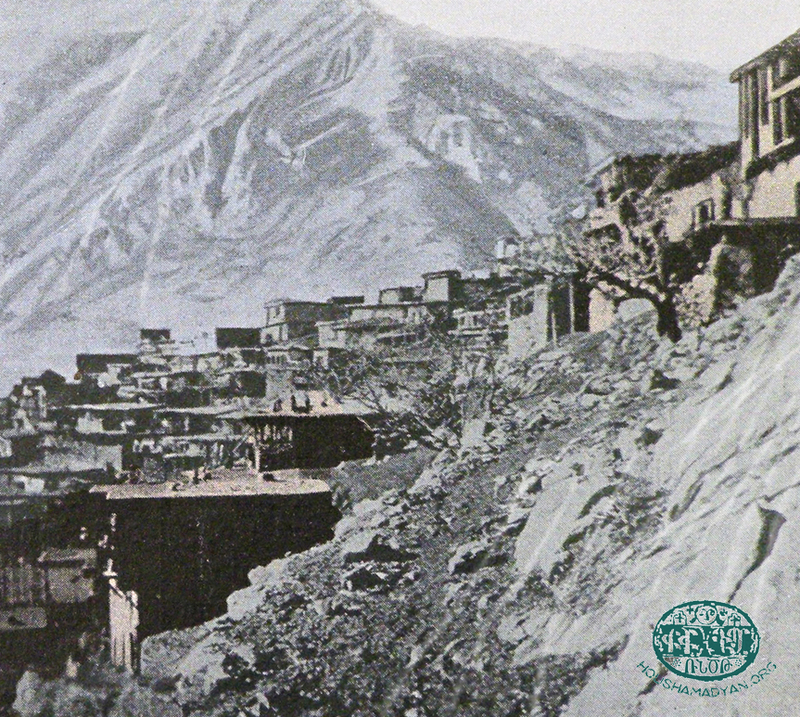 It is believed that the first refugees were residents arriving from Harkan, an Armenian populated town not far from Hadjin. With refugees gradually arriving from elsewhere in greater numbers, the foundations were laid for the town we know as Hadjin. (See Boghosian, pp. 120-121). After the fall of the Cilician dynasty, Hadjin and the surrounding area was governed by influential Armenian princes. 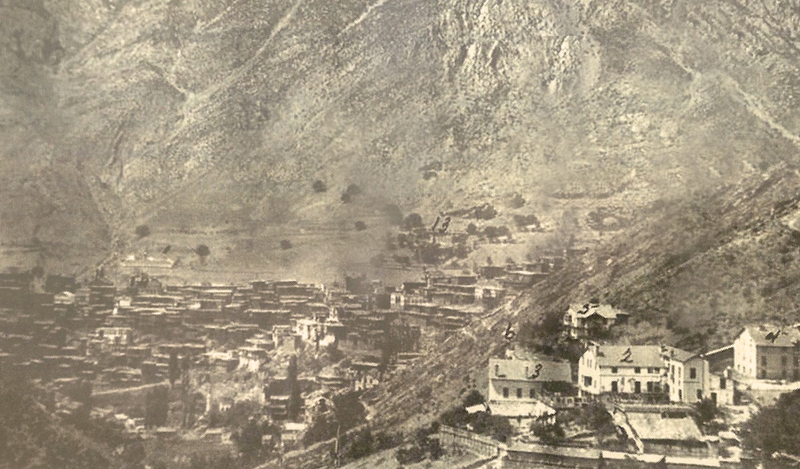 In the 1640s, when representatives of the Kozanoğlu tribe began to establish their rule over the Taurus Mountains, Hadjin and nearby villages also passed under their control, despite the fact that they were primarily governed directly by Armenian princes. Until the 19th century, the central Ottoman state had a formal presence in these regions. (See Boghosian, p. 158). Pastor Sarkis Devirian recounts that his mother and other women carried water for the construction of the building sometime in the 1880s. (See Boghosian, p. 347). Gh. Indjidjian, Geography of the four corners of the world; Vol. 1 [in Armenian], Venice, 1806, p. 318. See Boghosian, p. 350; H.H. Vosgian, Monasteries of Cilicia [in Armenian], Vienna, Mkhitarist Press, 1957, p. 260. Armenian Evangelical Movement [in Armenian], Beirut: American Press, 1947, p. 216.